CARROT BAY, Tortola, VI - With just approximately two weeks left for the start of the new school year, no actions have reportedly been taken to rid the Isabella Morris Primary School of the mould infestation that has been plaguing the institution for some time and even forcing disruption of classes and ultimately relocation. This information was revealed to Virgin Islands News Online through a reliable source within the Department of Education as well as parents of students of the school. Some parents said they had found it strange that the principal, Sylvia Adams, had indicated that the school would be ready for re-occupancy to the extent that materials were being taken back into the school building. This was also surprising to a well placed source within the Department of Education, who informed this news site that a foreign company will be on island next week to rid the school of the mould problem. According to the source, an international company conducted an assessment of seven schools said to be infested with mould. 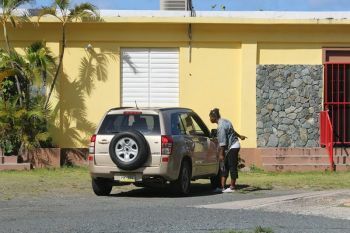 Of the seven, Isabella Morris Primary was reportedly considered to have the least problem of infestation, which has resulted in the school being the last to be addressed. This news site was told that a foreign company (name given) has been contracted to get the school ready for the September opening. During a recent exclusive interview with Virgin Islands News Online, Representative for the First District Honourable Andrew A. Fahie expressed concerns about the manner in which the assessment/investigations of the schools were done. He opined that the Government should have engaged the services of more than one company to assess the problem. He said that parents who work within the government system and had issues of mould addressed had recommended names of companies that had expertly addressed mould problems at their offices. "They (parents) clearly stated it and they gave the names of the companies and I asked that various companies be contacted and be considered and at the time the Ministry agreed," said Hon. Fahie. He further stated, "It is my understanding that a totally different company has been selected. 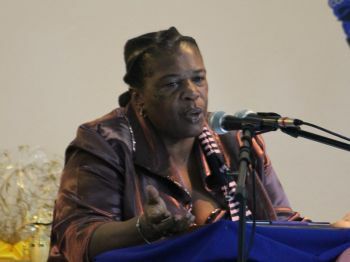 In my humble view, more than one company should have been allowed to assess the problem at Isabella Morris Primary School and the other institutions that were looked at given the magnitude of the problem that have been identified." Justifying his suggestions, Hon. Fahie said if the recommendation had been taken by the Ministry of education, they would have respected protocol as well as it would have put them in a position to make a well informed decision. "Out of all the other institutions that were looked at by the company the only one that is totally closed is the Isabella Morris Primary School. The others are functioning and can function despite the challenges seen by doing certain transitions on their compound." He said that behoved the authorities to have treated the situation with urgency given the fact that Isabella Morris Primary School was the only one that was totally disrupted. He said one parent had said to him, "A little information would go a long way as it appears that nothing was done to the school for the entire summer break." He added that according to parents, "The only thing that the parent said that they saw was that the lights were left on like hotel seven." Hon. Fahie also said he had a problem identifying with a report that was done by a single company. The Minister & his Ministry handled this matter disrespectfully. If VINO, Fahie & the parents didn't cry out when would we have known what I am reading in this article? Myron you have to do better. What international company? Please! Give me a break. A total set up by the new maintenance man & his tall pal over the ministry. That's why no other company was contacted. Corruption even in a crisis. I told you all on the previous article that NO WORK has taken place on that school...I reside there and have NEVER seen anyone coming in to do anything...Mrs. Adams you are a lovely principal but if you for one knew that nothing had been done to the school in preparation for the upcoming school year is best you didn't even say anything at all because it is clear that the minister and his clique have pressed you hard enough to make such a false statement...which not only put the children back at risk but you yourself! I didn't believe her either because I haven't seen any work going on for the past months. From the onset of this problem I've had difficulty believing anything this principal says. This adds fire to the fury. How are we as parents expected to trust her? Mrs. Adams you should know once you break parents trust it will be hard to believe you again. I'm very disappointed in you. You should practice what you preach and not give in to what's not right. Why this man can't just come out & make a statement & tell we the parents & the public what is what.This type of dictatorship & disrespect must stop. We are not slaves nor children. We are hard working tax payers. We deserve better from the Minister of Education & his Ministry. We all know that the man's one hundred thousand dollar speech writer was on vacation & now she is back so he will be told what to tell us by tomorrow. Wait let us hear what our tax money says. He ain't discussing what he doing with his Premier & you think he will have respect for we the public? Don't wait for it. He talking about independence & he ain't discuss with his Premier. He talking about dissing the British & he ain't discussing with the Premier. He talking about eliminating the British Nationality Act & he ain't discussing with the Premier as well as many more topics he talking about & ain't discussing with the Premier. This guy is going to get himself & this Territory in trouble. Not WWPS! so just join the club. We need a divorce from the ndp. I am really sorry for anyone who is working or attending school in a mold infested environment continually. Mold is very dangerous and it can kill. I guess the Health Department cannot really dive deep into this issue in the land seeing that the Government Admin Building is so mold infested. This is a set up for an epidemic of unexplained respiratory and other illnesses in the not to near future with no allergist on island to even diagnose and treat the problems. It is sad that this problem is being taken so lightly and so many innocent people are just suffering. Very, very sad! Where is his waste of time PS that tells you one thing in your face & does another which is usually to kill you. She can make a public statement on his behalf also. I am going to get the necessary information and go through the process of transferring my child from this school...I as a parent prefer to spend money to change my child's entire school uniform than to have to spend thousands in medical bills....this is outrageous and I think the Premier needs to step in now...this is crazy!!! I can't afford it but I already have a lawyer on standby for this one. the BVI has to be run like a real business.The leaders of this country are out of step with what planning is all about or they are just playing politics to shore up their lagging image.